Tiny footprints is a cute and quirky texture pack that doesn’t stray far from the bold, blocky aesthetic of Minecraft but has its own unique charm! 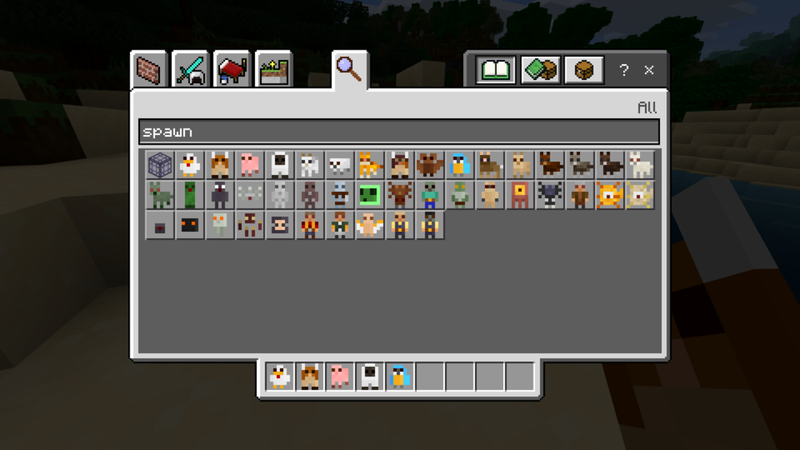 The low resolution textures make mobs look cuter and blocks look bigger, even on the smallest of screens. Texture packs are one of the essential accessories for every Minecrafter! Tiny Footprints was developed by one of our artists and avid Minecraft player, Chris “Arsenic” Norman, who started work on the pack in September 2017. He wanted to create a unique looking pack that would appeal to the players of Bedrock Edition and made a real difference to the game, even when played on a small phone screen. The original Minecraft textures are very familiar to those of us who have been playing for years but according to information from IGN and statistics from Minecraft themselves, the game is still growing and that means there are new players that need to be catered for! "I designed Tiny Footprints for everyone, but especially beginners and young players!" Rather than just recreating the original textures in a smaller, 8x8 resolution, Chris decided to design them in a way that made the purpose of the block, item or entity clear to players. To do this, he focussed on using similar colours and themes for block and item families and limiting his colour palette for the whole pack, bringing it back down to basics. The pack itself is comprised of 1,106 files but Chris maintains that he only used 256 different colours to create all of the textures! One of the best examples of this can be seen in the family of mobs and items which originate from the End. By using a limited colour palette for the item family it allowed him to give them a clear identity, thus allowing players to gain a better understanding of items and their origins. 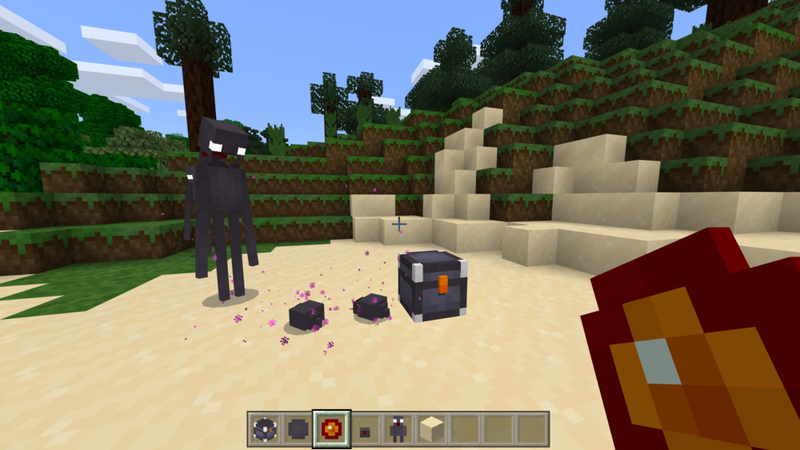 Specifically, the Eye of Ender is a bright red, white and orange which is a stark contrast to most other entities in the End, however when paired with obsidian and built into the Ender Chest the colours combine to create a black chest with orange and white detailing. One specific focus that Chris had was to make it clear when an action was needed or an action had taken place, for example when crops need harvesting or a wolf has been tamed. Simple changes to the theme or colour of the texture really helped to make this clear to new and old players. With Tiny Footprints equipped, crops are more visible when they’re ready for harvest and the wolf changes from his wild natural grey and white colouring to golden and sandy when tamed. "It can be the little details that make the biggest different, especially when you play the game on a smaller screen and you can't spot tiny details. I wanted players to be able to see at a glance when crops are ready for harvest or an anvil has been used." Chris also brought consistency to the look of construction blocks, trying to make their material clear through colours, shading and the general pattern of the texture. Organic construction materials (stone, bedrock, obsidian, andesite etc.) all have a sedimentary rock feel to their design to portray their organic nature, whereas the wool has a crosshatch pattern, and gem blocks have an obvious shine. 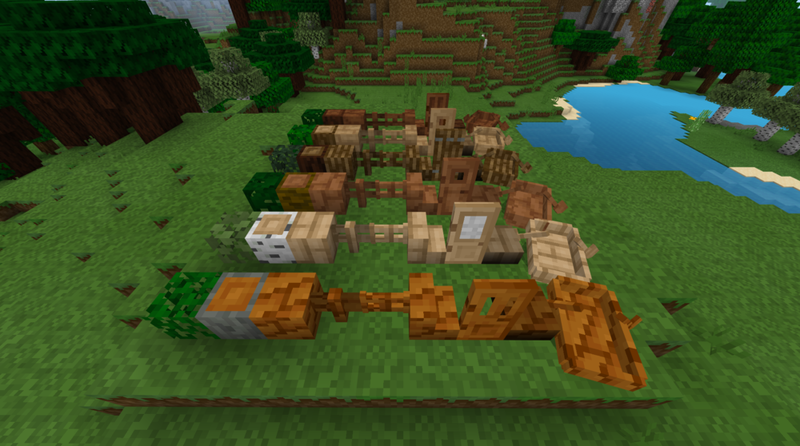 Chris decided to give the different types of wood varying looks in order to give each tree type its own identity, which offers a great aesthetic when using them for construction. All of the planks are styled differently with acacia wood taking on a diagonal style texture, a pine needles style for spruce wood planks and a slightly unusual but funky texture for jungle wood. Some textures, such as the slime mob, remain fairly similar to the original vanilla texture, but the colour choice and extra transparency gives it more of a slimy look. 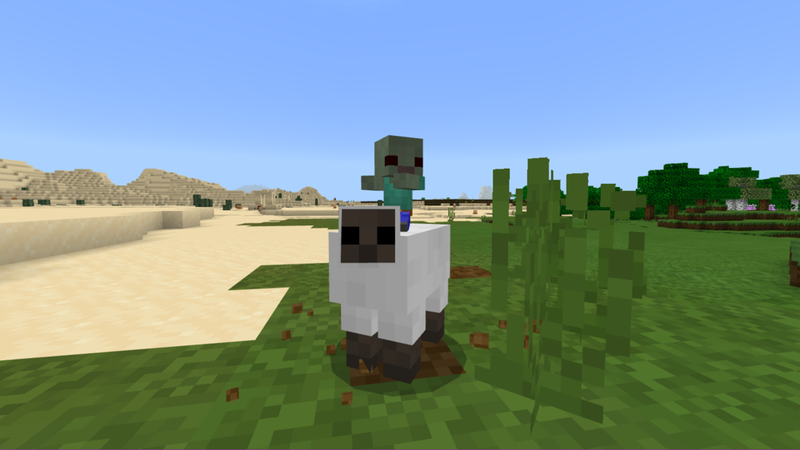 One of our favourite texture changes are the “spawn mob” icons (or "sprites") which are miniature versions of the mobs themselves, instead of colourful eggs! This lets players immediately see the identity of the item and makes the game far more intuitive. The transformation of the End was Chris’s most enjoyable part of the project. He wanted to completely redesign it with distinctly darker colour scheme giving an underworld theme topped with a white Ender Dragon; a cool contrast to the surrounding shadowy world. "The Endermen were originally going to be white to add to the eerie effect, but I changed them back to black to keep them feeling like sinister, shadow like figures when they appear in the overworld." Chris has already started to work on the Update Aquatic textures and a new UI for Tiny Footprints. He plans on supporting the pack for the foreseeable future by making changes to feedback and keeping the blocks fresh. So if you have any feedback make sure to tweet him at @ArsenicShark on Twitter or get in touch via our contact page! Tiny Footprints is available now on the Minecraft Marketplace! To download the texture pack for Bedrock Edition or to get two free Tiny Footprints skins for either Bedrock or Java Edition, click the button down below.